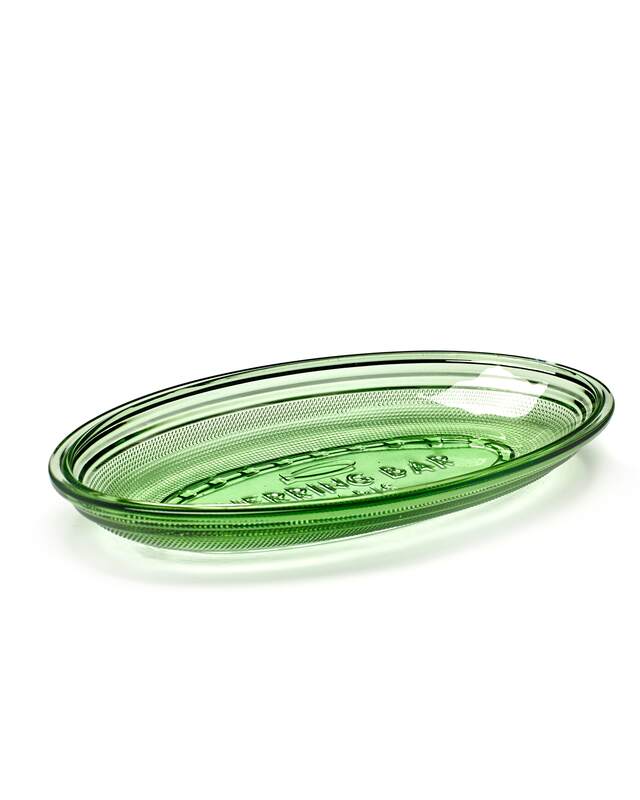 Beautiful serving dish in depression green glass with Herring Bar pressed in relief on the base. The perfect summer plate for serving up a summery treat. With Fish & Fish, her tableware collection for Serax, the Italian designer Paola Navone draws admiring glances at once.